“Driverless cars” is a hot topic this year, especially as self-driving Ubers hit the roads in Pittsburgh. This week, the National Highway Traffic Safety Administration (NHTSA) put out guidelines for autonomous vehicles, including performance standards, model state policy, and regulatory tools for future innovations. What impact with the Federal Automated Vehicles Policy have? Is it premature to regulate driverless cars at this early stage — before they’ve even hit the road en masse? Evan is joined by Marc Scribner, a research fellow at the Competitive Enterprise Institute. 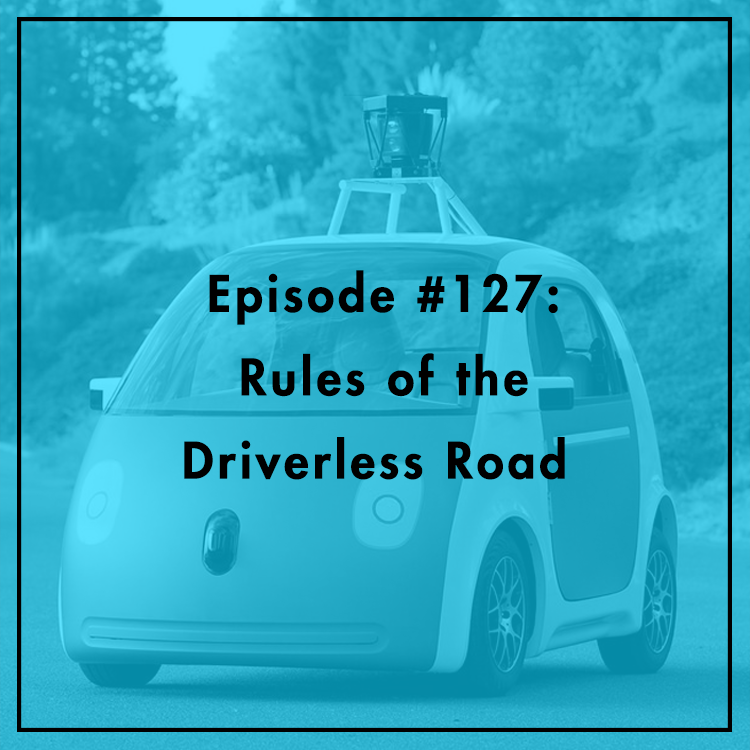 They discuss the Feds’ policy on driverless cars, what it gets right, what it gets wrong, and what the driverless future will look like. For more, see Scribner’s article.